The Walking Dead Season 7 Episode 9 Spoilers, Promo, Air Date: The unfortunate time for the TV series lovers has come. TWD has entered into its mid-season winter break. The ardent fans must be waiting eagerly for it to be released at the earliest. The episode 8 of season 7’s The Walking Dead was the mid-season finale. This installment consists of a total of 16 episodes of 8 has been aired already. The rest of the episodes will air as the break gets over. Until then, we have already got a lot of TWD season 7 episode 9 spoilers and three promos. You can catch all the updates right below. Proceed at your own risk. SPOILERS AHEAD. It’s bad news for the tv series fans that they won’t get to watch the next ep until next year. If you tune AMC, then you will get to watch anything else. On Sunday, Home Alone 2: Lost in New York movie was aired. Let’s see what’s there on Monday. You can check the schedule on the AMC official website. Check: WWE RoadBlock 2016 Results. The coming Sunday (December 18), the viewers will get to watch an old John Wayne show titled “Big Jake” in the same slot as of TheWalkingDead. After that, everything seems to be a mystery for now. The good news is here. The network AMC has released not one, but three promos/trailers for the next episode this season. You can watch all of them below. The network also unveiled the next release date. The series will resume on February 12, 2017. Be sure to mark this date on your TV calendar. Until then, we just have rumors, speculations, video clips to work out from. The first trailer confirms that we will soon see a massive war with Negan. For it, Daryl and Rick will start deploying the plans. It seems to be the point where things would get real exciting. We are excited to see the madness finally going in actual as it would get hell lot of intense. The second clip shows Rick and company making a pitch to King Ezekiel. They are trying to tell him that they are serving the Saviors. But, he concludes the talk with saying that they will win it by any means. In another scene, Rick and the team appear with their guns and ready to fight. The clip also contains some fight sequences as well. 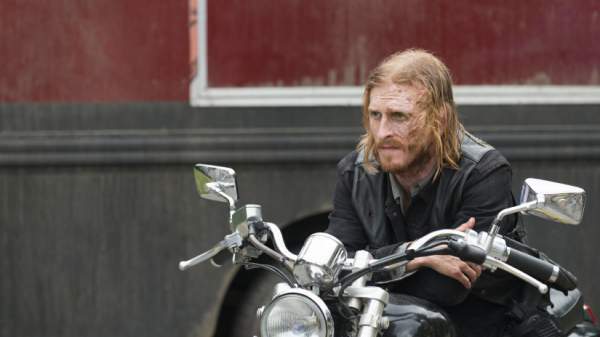 At one point, Rick appears asking Ezekiel to join them against the vicious Saviors. Many fans may have seen this story developing during course of action. The idea came when Ezekiel’s group made an appearance in the storyline. Else, it wouldn’t make any sense. They need him to take down Negan and company. The third and last clip, for now, shows Jesus telling the crew that they don’t need to go back to Alexandria because he ahs already pictured one of the communication devices used by the Saviors. Thus, they can easily get to know their plans. A night scene is shown, but nothing much appears clearly. It is all dark. Stay tuned and have a look at the following promos.